Last week I did a "Where are they now?" article on Mark Crowe so it would seem only fair that I write up this week's post on his partner in Andromedan crime, Scott Murphy. Just as I did with Mark Crowe, I'll be taking a look at Scott Murphy's past, present and future plans. Scott Murphy was originally working in Sierra On-Line's hometown of Oakhurst, California not developing games, but cooking meals at a local restaurant. It was only after a friend of his, Doug Oldfield, started working at Sierra was Scott introduced to the wonderful world of adventure games. He was hooked and managed to get some time playing them too when he took his first job at Sierra as customer support. Scott taught himself how to program adventure games and worked his way up into a developer role. While working on the The Black Cauldron (1986), Scott met Mark Crowe and discovered that they had a mutual fondness of sci-fi. They were both keen on developing a sci-fi comedy adventure game and presented a four-room concept to Ken Williams, which he liked resulting in them gaining approval to make Space Quest (1986). Both Scott and Mark were designers of the game but Scott's other major contributions were the dialogue and programming. Mark focused on the graphics. Space Quest (1986) turned out to be a hit and the "Two Guys from Andromeda" (the alter egos Scott and Mark would give themselves) would work on another three games together: Space Quest II: Chapter II - Vohaul's Revenge (1987), Space Quest III: The Pirates of Pestulon (1989) and finally Space Quest IV: Roger Wilco and the Time Rippers (1991). Scott liked all the Space Quest games for different reasons: the earlier ones for their parser interface, Space Quest III (1989) for it being the first Space Quest game with MIDI music, and Space Quest IV and Space Quest 6 (1995) because of their dialogue being narrated by Gary Owens. Speaking of Space Quest 6, this was the only Space Quest game that Scott worked on without Mark (who worked on the previous game Space Quest V (1993)). Scott was already working on Police Quest: Open Season (1993) while a colleague named Josh Mandel was the designer of the new Space Quest. Josh Mandel left Sierra before the completion of the game, despite the design being mostly complete, so Scott came in to finish the job. 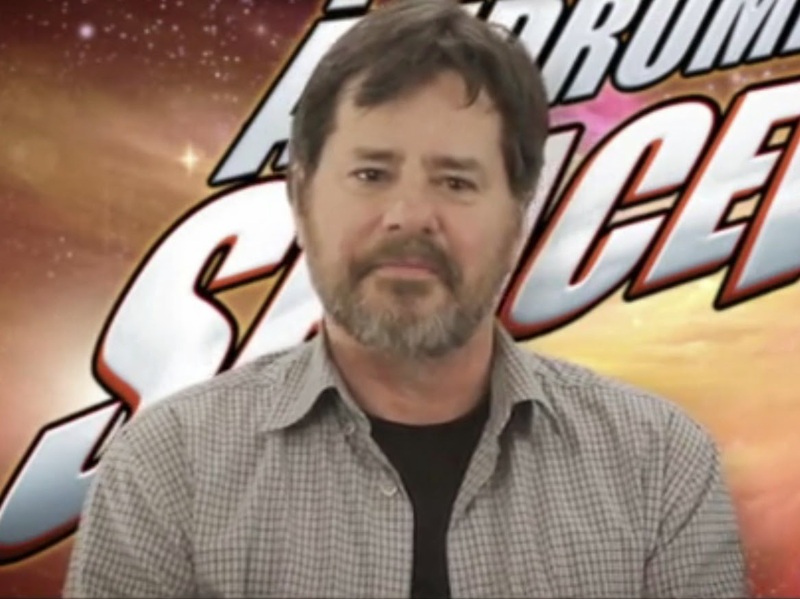 Scott mentioned that Josh was "way under-credited for his work" and he felt partially at fault but hoped Josh and the Space Quest fans would accept his apology. Although Scott co-designed and programmed the first four Space Quest games and helped design Space Quest 6 he also programmed many other well loved Sierra titles such as Police Quest (1987), Mixed-Up Mother Goose (1991), EcoQuest (1991) and The Dagger of Amon Ra (1992). Scott started work on Space Quest 7 in 1997 but it never saw the light of day as on 22 February 1999, a day Scott called "Chainsaw Monday", Sierra's iconic Oakhurst facility was closed down and multiple employees were laid off (including Scott - although he was technically laid off a month or two before). Scott took several odd jobs since then because his skills as an adventure game designer were not as marketable during the 2000s as they were in previous decades. He eventually moved to Alabama to support his mother. Would I want to work with Mark again? No, I don't think so. However, a couple of years ago when Scott and Mark reunited and formed the "Guys from Andromeda" with Chris Pope, Scott mentioned it was all water under the bridge and that both him and Mark never had a problem when they were working together. The Guys from Andromeda are currently working on a new sci-fi comedy game tentatively called SpaceVenture, thanks to raising more than $500,000 through a Kickstarter campaign. The game promises to have voice acting by Gary Owens, Rob Paulsen, Robert Clotworthy, Ellen McLain and John Patrick Lowrie. It will also have a soundtrack composed by another ex-Sierra employee, Ken Allen. As of 2014, the game still isn't complete yet but the guys believe the game will be finished sometime early next year. I wish Scott (and Mark and Chris and the rest of the SpaceVenture team) all the best and look forward to playing their latest adventure game in the new year!